Do you come home every day to a dirty house? Are you just getting tired of spending your evenings picking up your home and cleaning? It’s so easy for everything to get out of order and messy, but there are some easy and quick habits you can start doing that can completely change the situation. I’m talking no more messy house. And it’s not hard to make these changes! 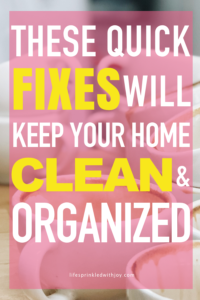 So swap your old cleaning habits for new ones and don’t get caught making the same cleaning mistakes again! When you set aside a whole day just for doing all your weekly laundry, it can get overwhelming. Sometimes I get so tired of all the baskets of clothes I just end up leaving them in the laundry bins and never even putting them away. Which makes my house feel more cluttered and stressful! Instead, focus on completing one load at a time. That means wash, dry, fold, and put the clothes away. 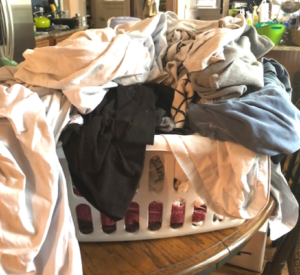 And get your family to help out with this chore—use color-coded baskets or bags for whites and darks, or simply just a mesh laundry bag like this for each person in the house. Then all you need to do is throw the bag (with all the clothes in it!) in the washer and dryer and give it back to your family members FOR THEM to fold and put away! I get it, using paper towels seems so easy and convenient. But it wastes money and you’ll end up with even more trash to get rid of! There are great alternatives to paper towels, like these machine washable cloths. Having these reusable towels around have made it so much easier to clean, they are so absorbent and I don’t have to wait to clean if we run out of paper towels! You know all those cleaners and soaps you see at the store? Yep, most of those are FULL of harsh chemicals that aren’t safe for your family. EVEN the ones that smell amazing are full of phthalates, which can affect and disrupt hormonal balances in you and your children. I’m also a big fan of these surfacing cleaning wipes—these are PERFECT for wiping down the kitchen counter or even the snack tray on the stroller because I now I never worry that my daughter is interacting with harmful chemicals! I used to love using those plug-ins to make my home smell good, but now I worry so much about the chemicals those release into the air. Even some essential oil versions of plug-ins are on the market now, I can’t really be sure if these still don’t contain some of the same chemicals. So instead I’ve just been using essential oils and diffusers to keep my house smelling clean. I love this reed diffuser set because it’s natural and stylish and easy to tuck away on a shelf or bookcase while blending in with the decor. 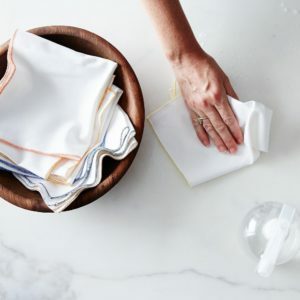 So ditch all the sprays, bleaches, and fabric softener you’ve been using for ages, and keep your family’s health in check by using all-natural cleaning products! If you want be sure you are avoiding using any toxic cleaners – check out this list of great homemade cleaner recipes! 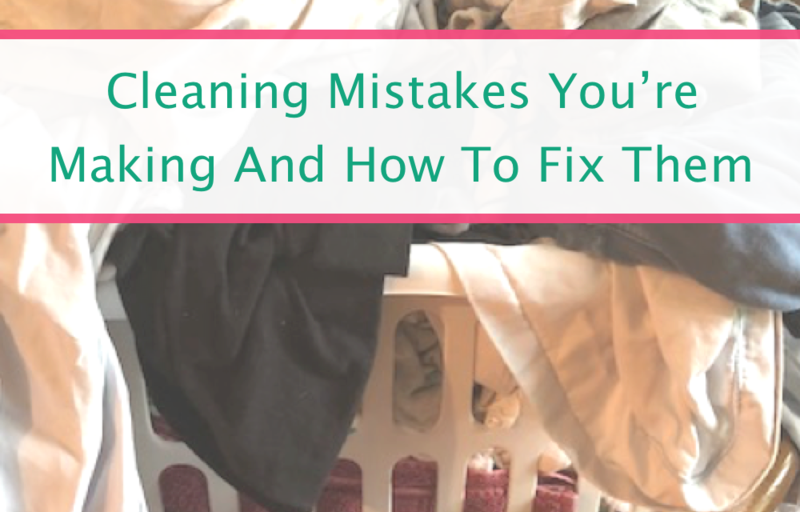 Okay, this is a cleaning mistake I make ALL. THE. TIME. 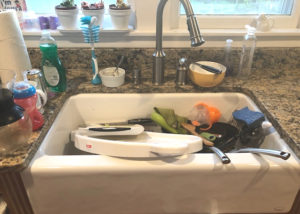 It’s so easy to just leave your dirty dishes in the sink or on the kitchen counter, but before you know it they pile up. And probably angry—both with yourself and probably with your husband too because he had just as many opportunities to clean the dishes as you did…right? Save yourself the frustration—and the fight—and just make it a habit to put the dishes away AS YOU USE THEM. Trust me, you’ll feel soooo much better doing it this way and you won’t get overwhelmed anymore by a kitchen counter full of dirty dishes! This is a HUGE pet peeve of mine. I mean, who really wants to clean the dishes when the dish rag is lying there wet and yucky at the bottom of the sink? Fix this problem easily by getting a tension rod like this one and setting it up on one side of the sink. 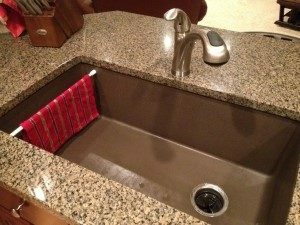 Now you have a place to hang that wet rag and it’s easily accessible the next time you do the dishes. How many times do you come home after a long day and find your wet towel—from the morning—lying on your bed! Not only is your bed and blankets now wet, but your towel didn’t get the chance to dry properly and now smells a bit…funky. This is a super easy fix—just hang up your towels after you use them! It doesn’t take more than two seconds to pick those wet towels off of beds or the bathroom floor, and you’ll feel so much less stressed seeing them in their proper place. Don’t have a hook or hanger for your towels? Use decorative hooks like these in your bathroom or bedroom so you ALWAYS have a place to hang up what you need. This is another one of those simple fixes. It’s so easy to just take 3 minutes each morning to make the bed, but it’s still something I RARELY DO. I feel so much better when my bed is made, it makes the whole day go better. So do yourself a favor and prioritize making your bed EVERY MORNING. My husband is notorious for coming home and leaving all his work clothes on the bedroom floor. I’m not gonna lie, it’s frustrating. BUT this problem can be solved with one simple fix: a stand-by stand. That’s right, a stand-by stand for your clothes. Yes, this still requires a some effort to hang up the not-yet-ready-to-be-washed clothes on the stand-by stand, but apparently this is easier and less effort than hanging up your clothes back in the closet. All that matters to me is that my bedroom floor is clean and uncluttered, and a clothes stand-by stand like the one listed here does just that! If you have glass shower doors and you don’t wipe down your shower door each time you shower, you’re setting yourself up for some serious scrubbing in the future. I truly hate cleaning, and I’ll do everything in my power to avoid it, which is where this daily shower spray and a squeegee like this come in handy. Just spray and squeegee right after you’re done and you’ll be all set. Doesn’t this drive you crazy? Shoes everywhere! Picking up everyone’s shoes shouldn’t be part of your cleaning list. What you need is a shoe catch-all: a designated place and space to keep shoes AND hold your family accountable. My favorite place for a shoe catch-all is right by the door everyone always uses. We have a tiered cart like this for shoes, but I really like some these ideas for keeping shoes organized. If you just allow your junk mail to pile up throughout the wee, you’re not cleaning efficiently. You need to sort out your mail each day to keep it from becoming a huge mess. Stop wasting your time and organize your mail and junk mail using a system that actually works! Picking up kids’ toys seems like how I spend most of my time. Our kids are smart and can learn how to put away their toys at a young age, all we need to do is give them parameters and tools for putting away toys that makes picking up fun! 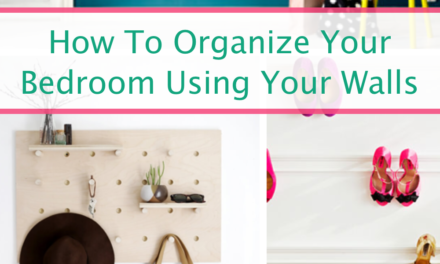 Set up toy buckets, make it clear where each item goes, categorize toys and teach kids how to organize, and make whatever toy organizing system you use accessible and easy so your kids will ACTUALLY use it. Now this one’s different than PICKING UP toys. Sometimes I don’t clean toys because it’s my house and I wrongly assume my kids aren’t covered in germs here. And sure, I’m definitely a fan of not being a total spazz about germs and letting my kids build up their immunities a bit. But when flu season, or really any changing of the seasons, comes around I’m a total clean freak—wiping down toys left and right! The good news is that doesn’t have to take more than 10 minutes of your time. Just throw all the toys into a lingerie laundry bag like this, put the bag of toys and any larger toys that will fit into the dishwasher and run the dishwasher using a regular cycle setting. Dust is filled with all sorts of nasty stuff that can be toxic to you and your family, yet I’m also so focused on picking up ALL THE JUNK that I never take the time to dust. Make life easier on yourself and make one of these homemade swiffer duster wands. They make dusting easy and more fun! So many times I make a recipe without putting back the spices, or I sit down to write a letter without putting the stationery away when I’m done. Before I know it I look around and my whole house is a MESS! Getting in the habit of putting away items after you’re done with them will help you stay on top of all the clutter and keep your house clean! Keys, sunglasses, wallets, phones, chapstick, hats, gloves, knick-knacks—this is the kind of stuff that gets left all over the house and makes my home feel disorganized. Solve this problem quickly by setting up catch-all stations for items you know you or your family members tend to leave scattered throughout the house. Set up some easy clutter catch-alls like these and at the end of each day make it a goal for each person to sift through the catch-alls and put their items back where they belong. 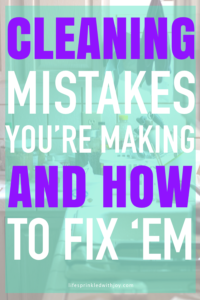 There you have it: cleaning mistakes you’re making and how you can fix them! 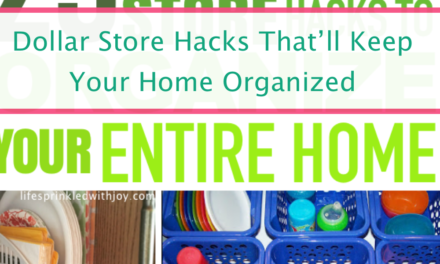 What easy cleaning and organizing hacks do you like to try? Post a comment, I’d love to hear them! 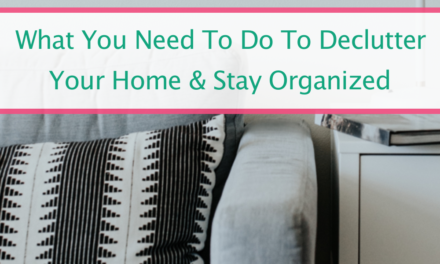 How To Declutter Your House And Finally Say Goodbye To The Mess!